Today I wanted to tell you about a new project I’m involved in along with my fellow bloggers Aarti, Alex, Chris, Iris, Lu, Meghan, and our fearless leader Tasha. As the About Us section explains, we started The Project Gutenberg Project with the goal of making public domain titles from sites such as Project Gutenberg and Librivox more accessible. Although a great resource, Project Gutenberg doesn’t currently categorize books by topic or genre, so it’s difficult to find obscure gems. 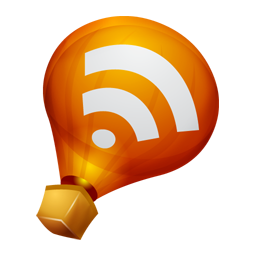 Solution: research, discussion, and reviews! The Project Gutenberg Project accepts review submissions, so if you’d like to contribute with a post (or even become one of our regular contributors - the exact definition of regular being up to you), I’m sure Tasha would be delighted to hear from you. 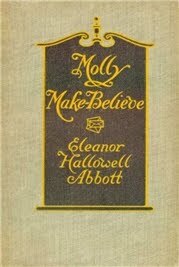 My first contribution to the site is up today: it’s a review Eleanor Hallowell Abbott’s 1911 epistolary romance Molly Make-Believe. If you’d like to read my thoughts, just click over. Nymeth, they just want reviews? I mean, short little ones like I might do for LibraryThing or Goodreads? I read a lot of Gutenberg books. Stu: Yes, it would be so great if they gave us more browsing options. But I appreciate that they're a voluntary organisation and already do a huge amount of work. This is our small way to help! I have downloaded tons from Project Gutenberg on my Kindle, but only the ones I already knew about and for which I was seeking out. I love this idea of drawing attention to ones that may not be well known. I look forward to reading the reviews on there in hopes of finding more great books to read! I'll hop on over and check out your review. @Mumsy Reviews or topic posts, if you like! Just check out the site for my e-mail. This is such a great idea, and I am so excited that you guys are doing this! I am so excited about this project! I read tons of Project Gutenberg books on my Kindle, but I have such a hard time finding the ones I want. Yay for you guys doing this! Thanks Nymeth, what a brilliant proejct! I love Gutenberg. It's saved me on many occasions. I remember I read Bennett's HOW TO LIVE YOUR LIFE ON 24 HOURS A DAY, quite by chance, and it did really change my life! It's such a great project, I've never heard of most of the Guttenberg books! Recently a group of publishers shut down library-dot-nu, it is a perfect time for this project: a legal and well informed curation of free ebooks. Sounds like Network Awesome for books (or a more focused OpenCulture). It makes me very happy to see that the project is being so well received! Thanks for the enthusiasm, everyone. And remember that you're welcome to contribute with guest reviews or themed reading lists at any time. Sounds like a great resource. Thank you for letting us know about it. I'm off to check out the link.